View TEDxPhiladelphia speakers & performers below and their bios here! We heard from the inspiring live speakers listed below as well as speakers from TEDWomen 2018. TEDxPhiladelpihaSalon events return in January -- stay tuned for details! At TEDxPhiladelphiaWomen, we will stream talks from this impressive list of TEDWomen 2018 speakers and also hear from individuals in the Philadelphia community. TEDxPhiladelphia brings communities in Greater Philadelphia together spark conversation and connection around ideas to improve our city for everyone. We’re still inspired by TEDxPhiladelphia’s 2015 ‘And Justice For All’ conference - so inspired, in fact, that we’re doing it again. That’s right - TEDxPhiladelphia is back! • Ongoing, 2018: TEDxPhiladelphia Salons // April 24th Salon on Social Enterprise & June 25th Salon on Reentry & Criminal Justice. Stay tuned for the August Salon date & theme. Interested in sponsoring or partnering? We're seeking financial supporters, in-kind partners, media/promotional partners, and more to partner in a variety of ways for the 2018/2019 season. Contact us if you're interested! As the world faces complex challenges and opportunities in the 21st century, there’s a growing consciousness - internationally, nationally, and right here in Philadelphia - that business has an important role in minimizing negative impact and accelerating positive impact on topics that range from equity to climate change, poverty to data security. As a part of Reentry Awareness Month, TEDxPhiladelphiaSalon will host a salon-style conversation on criminal justice reform and reentry. We’re inviting those previously incarcerated, community members, and experts to explore how policy, criminal justice, poverty, and systemic racism intertwine and impact the lives of incarcerated individuals, their families, and their communities - and what we can all do about it. What is TEDx? In the spirit of ideas worth spreading, TED has created a program called TEDx. TEDx is a program of local, self-organized events that bring people together to share a TED-like experience. Our events are under the banner of TEDxPhiladelphia, where x = independently organized TED event. At our TEDxPhiladelphia events, TEDTalks video and live speakers will combine to spark deep discussion and connection in a small group. The TED Conference provides general guidance for the TEDx program, but individual TEDx events, including ours, are self-organized. Please take a few minutes to answer this brief volunteer survey so we can learn about your interests, experiences, and availability. Feel free to email us with any other questions you have - we appreciate your patience, as there can be delays in responding due to our volunteer capacity. 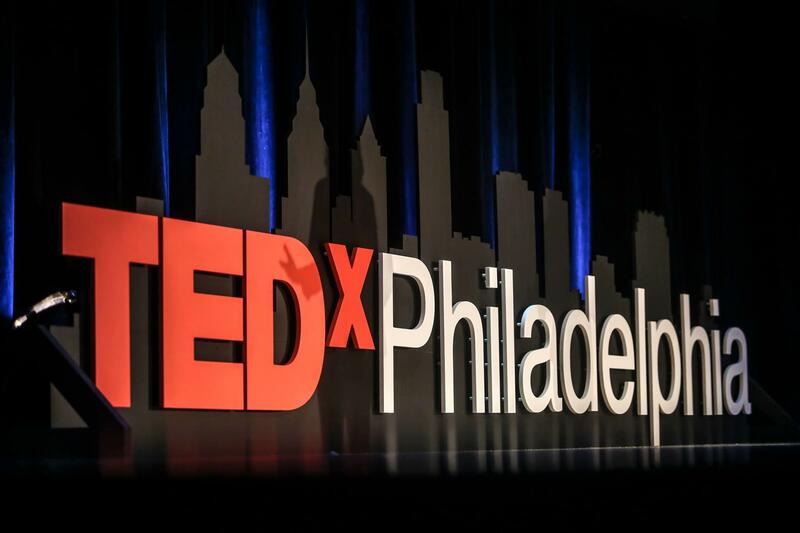 We invite and encourage you to join our mailing list and follow us on facebook, twitter, and instagram to stay up-to-date on all things TEDxPhiladelphia.